22mm Shiny Dark Brown Alligator Strap Fits Size 3 Chrono Signature & Round Men's 9.05"
Countless styles have come and gone, but the Philip Stein interchangeable watch strap is never out of fashion! Fabricated in genuine alligator leather for a large wrist, this dark brown strap gracefully accentuates any Signature or Classic collection watch in a size 3, and a stainless steel buckle holds the piece comfortably on your wrist while sporting the Philip Stein name. 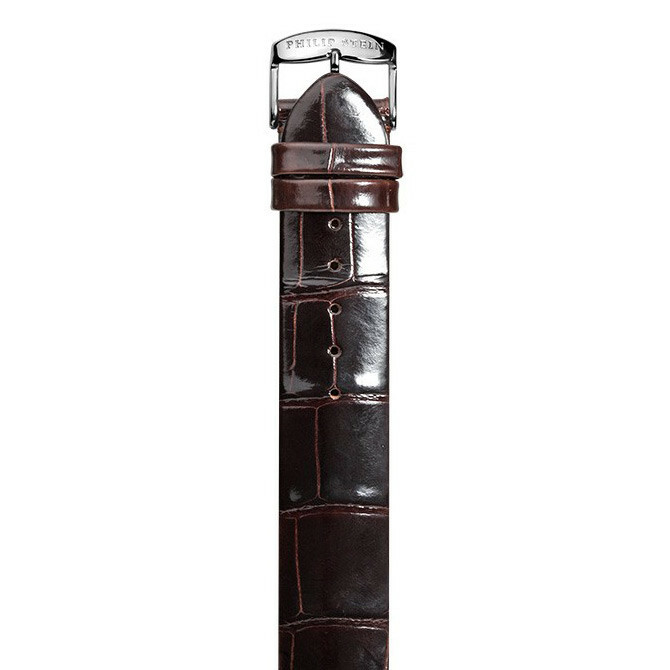 Your great everyday look is elevated to luxury with this suburb Philip Stein watch strap! JR Dunn has a 10-day satisfaction guarantee for all Philip Stein products.